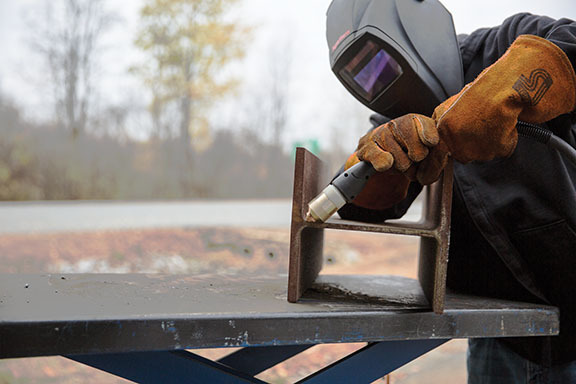 Close cutting applications such as lug and attachment removal are typically done using oxyfuel, carbon arc gouging, or traditional plasma cutting tools. New flush cutting capabilities of Powermax® plasma systems now offer a more efficient process for these operations. Patented FlushCut™ consumables have been specifically designed to allow Powermax users to cut attachments, lugs, pad eyes and other positive features as close to the base as possible without piercing or damaging the workpiece. 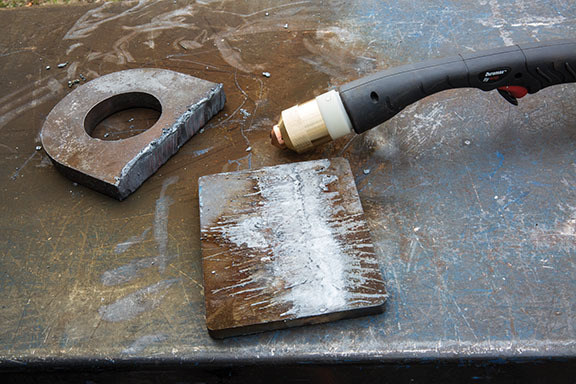 An angled nozzle bore design and flat guiding shield enables flush cutting that leaves less than 5mm (3/16”) residual material on the base or work piece, reducing grinding and secondary repair operations.